Lock in a great price for Boston Omni Parker House Hotel – rated 8.3 by recent guests! The location is unbeatable. Right on the freedom trail and close to Boston Common. This hotel has lots of history and is an interesting place to stay. Very much liked having a night light in the bathroom. 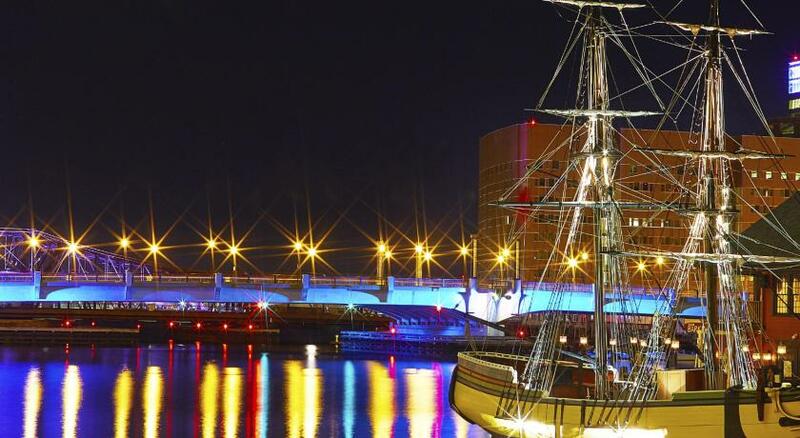 Located in the center of historical Boston. Very convenient and for the age of the hotel; quite clean. The bathtub didn't drain properly, so it was not clean (hair). Also a used coffee pod and cup of coffee from the previous tenant. Yuck. The room is tidy otherwise, and the location is amazing. The freedom trail is right out the door. Friendly and efficient staff. The restaurant and room service are excellent. Pricey, but the location!! Hotel had the old style class and treatment that upscale hotels were known for. Great customer service. Hotel was clean. Had 2 great bars inside. And the best part was it's amazing history. Everytging was great! The staff was wonderful, everything was very clean, the bed was comfortable. We didn’t have much of a view but that really didn’t matter to us. Location is good. Central to all the tourist spots. 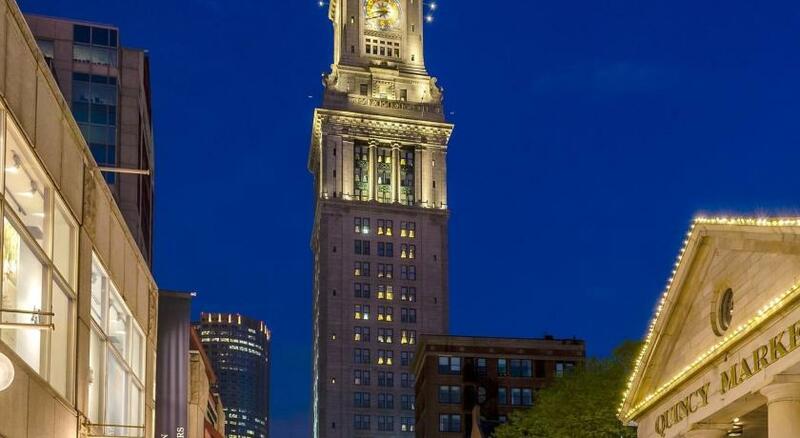 Boston Omni Parker House Hotel This rating is a reflection of how the property compares to the industry standard when it comes to price, facilities and services available. It's based on a self-evaluation by the property. Use this rating to help choose your stay! 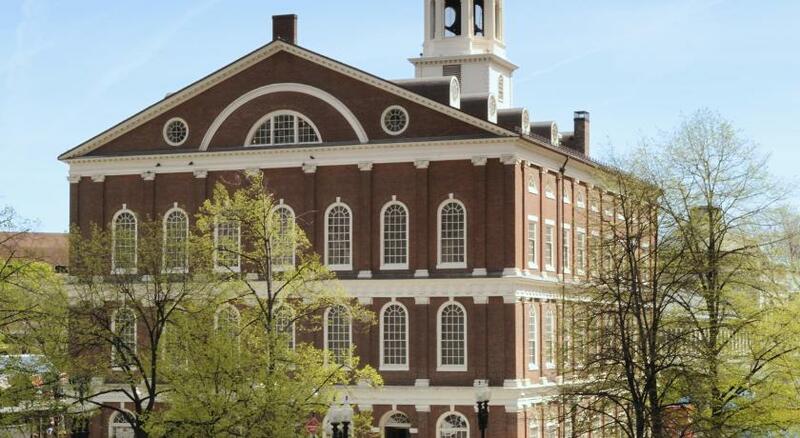 On the Freedom Trail and a short walk from Boston Common, this luxury historic hotel features a full-service restaurant, a 24-hour business center, and WiFi. 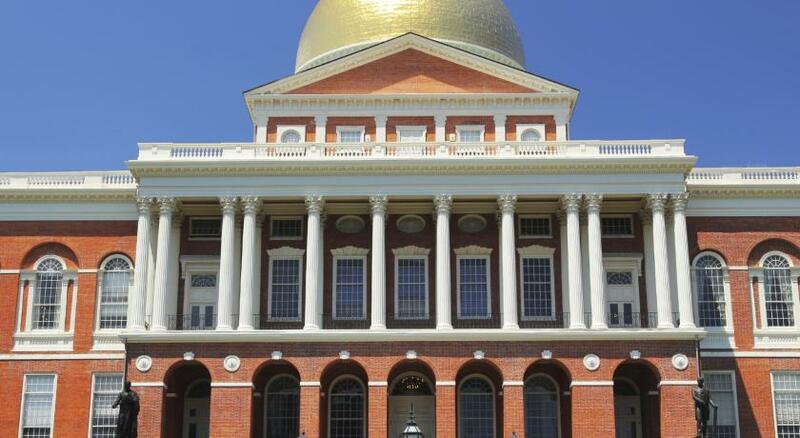 Thirteen historic sites from the Freedom Trail are in close proximity. The rooms at the Boston Omni Parker House Hotel have a flat-screen cable TV and an MP3 dock. Plush bathrobes, a coffee maker and ironing facilities are included. Parker’s Restaurant serves local specialties including Boston cream pie and the Parker House Roll. The Last Hooray offers a light fare, specialty cocktails and a large selection of brand whiskey. The hotel has a 24-hour fitness center and a map of local jogging trails. A backpack full of games and activities can be requested for children. The Omni Parker House is 2.7 mi from the Fenway Park and Logan International Airport is 4 mi away. 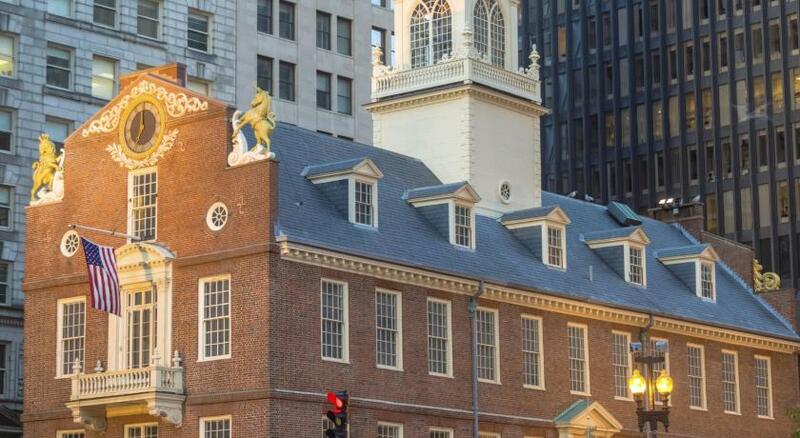 When would you like to stay at Boston Omni Parker House Hotel? This room features a flat-screen TV and tea/coffee-making facilities. There is also an alarm clock with MP3 connectivity. Private parking is available on site (reservation is not needed) and costs USD 53 per day. This suite offers a sitting area and a work area. This suite features a flat-screen cable TV and iPod docking station. This decorative suite honors a Boston historical figure and includes a formal living room. This double room features air conditioning and bathrobe. This double room has a cable TV, tea/coffee maker and tile/marble floor. This double room features air conditioning, tile/marble floor and tea/coffee maker. This quadruple room has a tea/coffee maker, tile/marble floor and air conditioning. This double room has a tile/marble floor, tea/coffee maker and air conditioning. This suite features a tile/marble floor, tea/coffee maker and air conditioning. This suite has a cable TV, air conditioning and tea/coffee maker. House Rules Boston Omni Parker House Hotel takes special requests – add in the next step! One child under 16 years is charged USD 30 per night when using existing beds. Boston Omni Parker House Hotel accepts these cards and reserves the right to temporarily hold an amount prior to arrival. Please note, a minifridge is available upon request for an additional charge of USD 15 per night. The bathroom and shower we small and not updated. The room was clean and the beds we comfortable. The location was great! Very central to the T and great restaurants. The lobster diner and lobster roll are delicious And the Bostom Cream Pie !!!!! The room was beautifull; and the Hotel is near the major city atractions. The bathroom was super small and only had a pedestal sink with absolutely zero counter space. With 2 women in the room that was an issue! The bed too high for Asian to jump in. Location great! I like this classic hotel. The bed so comfy. There was a problem with noise in the room that kept me awake all night. The management apologized and made an adjustment. The issue was handled politely, promptly and professionally. All the staff from the doormen to reception and waiters. The food and the service at breakfast. The rooms were very dated for the price we paid. Bathrooms are very old and loud air conditioning made sleeping tough. We requested a tub, but it was so old and low that we ended up not using it after the marathon as we couldn’t face sitting in the old, dated bathroom. Carpets in all areas were worn and gave an overall not clean feel. Especially in bedrooms. The worst experience ever. I stayed there from the 11 to 16 april for the marathon. We experienced the first problems at the arrival because they cannot charge the full amount on my credit card so I we fix it giving them another one. Besides we had booked the room the 5th of January they assigned us a ugly room no view at all like we were in a cellar, and too small for 2 people. Consider that there was just 1 chair and it was impossible to use it because it was stuck under a desk, between the desk and the bed. Immagine that we couldn’t even move it with difficulties also in accessing to the bed! But the more is yet to come. It was supposed we payed 2.535 USD, as stated in the receipt, but after we left and with any authorisation they charged my credit card not one but twice!! For a total of 3.339 USD!! I already called them and nothing happened, to tell the truth after the call they charged my card for the second time. So I wrote them twice but besides they promise feedback by 24/48 hours, after 5 days anyone’s answered. It’s unacceptable! Love the location and the architecture! Our suite was named after a man that prided himself in Native American eradication. While historical, in this day and age; the wording on the plaque could have been better. The heat/air conditioning unit is quite noisy. We didn't need to use it much because of the season. Bathroom could use a fan. Location is fabulous. The building is historic and has lots of character.